Cougar Automation specialises in designing and supplying automation systems for organisations in the water, power, energy from waste and food and beverage sectors. Its services assist its clients in helping to deliver clean water to millions of people, treat waste and clean up the environment, provide food products and support worldwide distribution of products. The firm has five regional offices across England and has relocated its Midlands operations to the University of Warwick Science Park’s Innovation Centre in Binley. Cougar had previously been based at Middlemarch Business Park. Rick Johnson, regional leader for Cougar Automation, said the firm is well-placed to strengthen its support for organisations across the Midlands from its new home. “One of the major factors in us choosing the Innovation Centre was the ability to take extra space when we need it and we envisage that being quite soon,” he said. “We’d outgrown our old offices and now have twice as much room and the option to grow further which suits us perfectly. Penny Robb, centre manager at the University of Warwick Science Park’s Innovation Centre in Binley, said the centre is well suited for start-up businesses, growing SMEs and regional hubs of national and international organisations. 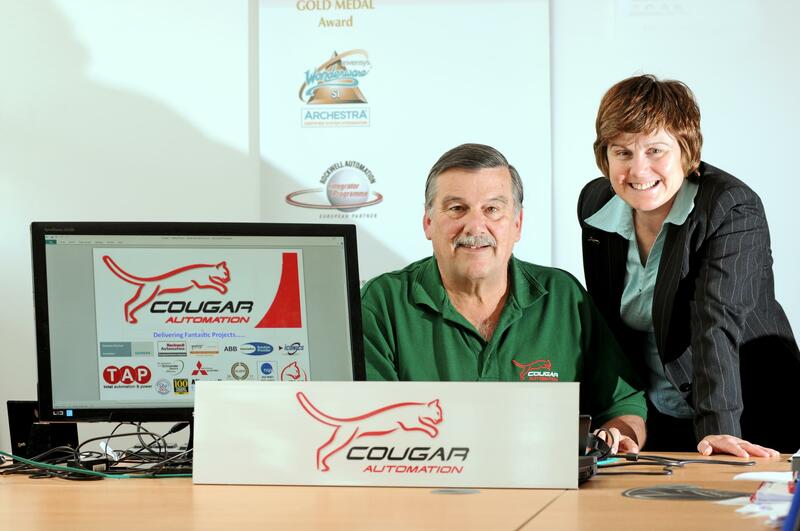 “We have a really diverse mix of businesses at the Innovation Centre and we’re delighted to welcome Cougar Automation here,” she said. “Cougar has an impressive client roster which includes some of the biggest names in the water, power and food and beverage sectors and the company is well-placed to build on its success in the Midlands here.